Eradicator Mold Remediation Services uses state of the art cutting edge technology to determine if your establishment has an abnormal level of mold activity. Our Mold Testing procedures are completed by competent and experienced mold inspectors that will conduct a visual inspection with the use of current equipment. IAQ Sampling Pumps are used to determine the types of mold found indoors and the levels of such. 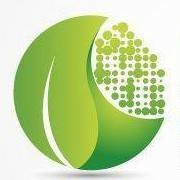 The use of sampling pumps provide a scientific evaluation of the Indoor Air Quality (IAQ) of one’s establishment. The samples taken that are provided to an accredited lab are placed under a microscope, analyzed anywhere from 100 – 1000 x magnification, and meticulously evaluated. As a client several answers to questions that were of concern can be expected from the results. Is there presence of abnormal mold activity occurring? Are spores being produced from the activity occurring? What are the types of mold that are present? Is the activity occurring originating from within the assumed affected area? Is there need for remediation of the assumed affected area? 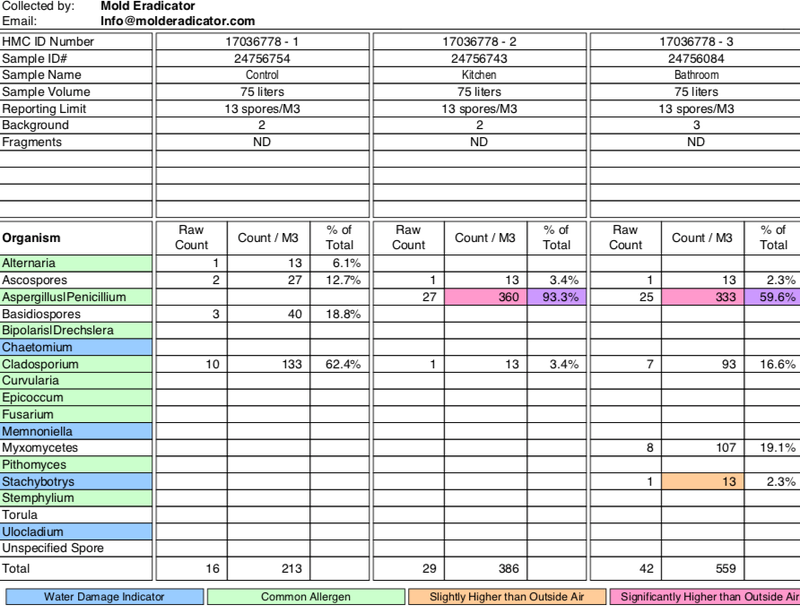 A minimum of three readings are suggested, two indoor and another outdoor to provide as a comparison. It is suggested that as many samples as possible should be taken but this may prove costly. 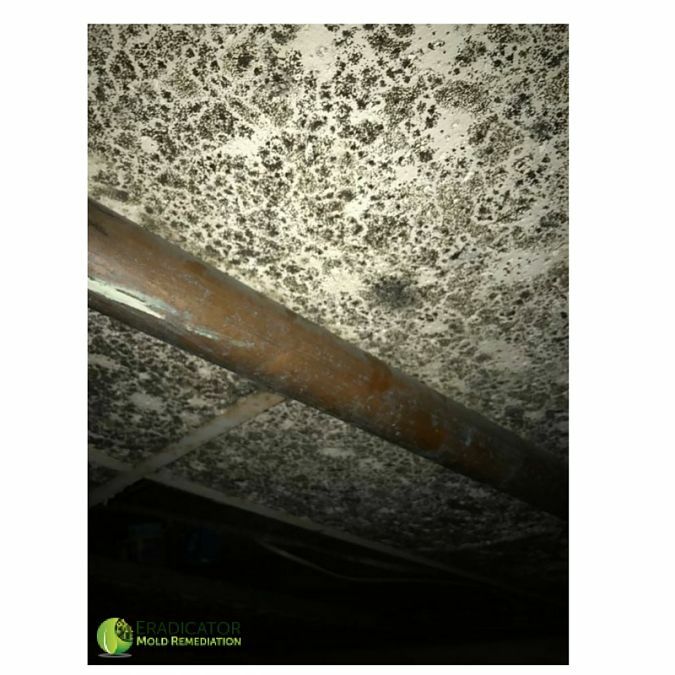 The EPA suggests that once mold is visible that samples may not be necessary as this may become expensive included with the fact that the affected visible areas still have to be remediated. Similar to a swab that you place in your ear a mold swab bears the same consistency and concept. 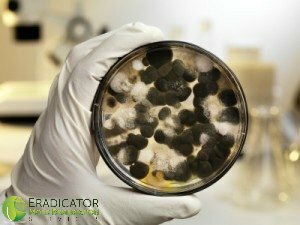 The mold swab is used to take a sample of any discoloration or spots that may seem to be evidence of mold activity but scientific proof is needed to support such. Similarly to indoor quality testing mold swabs are sent to an accredited lab and are placed under a microscope, analyzed anywhere from 100 – 1000 x magnification, and meticulously evaluated. Specific mold questions that were of concern can be expected from the results but unlike the air quality test for mold the swab test is normally suggested when visual evidence of mold is assumed and needs to be scientifically confirmed. Moisture meters are utilized to determine the level of moisture within a particular building material. This determines if the targeted material is susceptible to mold growth and if such the necessary steps needed to be taken to remediate. Once this has occurred it will be concluded if the affected building material should be replaced or if it may be salvaged by reducing the level of moisture thus returning such to a normal state. For example, wood is susceptible to mold contamination once the moisture level within it is 16% or above. Whether you are buying or selling a property or you are concerned about the health of your living space when it comes to mold, feel free to contact Eradicator Mold Remediation Services. Our dedicated mold inspectors will advise a course of action and assist with making you aware of the facts. We will guide you through the available mold options and ensure that you are making the best decisions for yourself and everyone else involved.